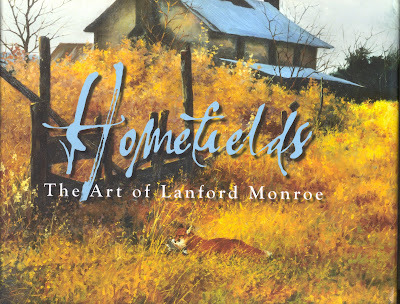 I'm thrilled and delighted to announce that after seven years of on-again, off-again work, HOMEFIELDS, The Art Of Lanford Monroe has finally been published! This is my book about the life and art of my late wife Lanford Monroe and her family, and I'm proud to say this thing looks great! Above, you can see a cropped image of the cover (my scanner is only so big) and that'll give you an idea of what you're getting into with this book... there's well over one hundred color images of Lanford's incredible paintings, and numerous examples of her father and mother's work. 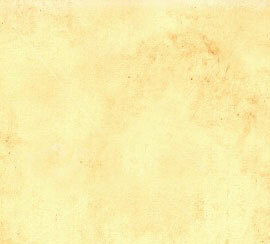 Vintage photos, sketches, and of course the text - by yours truly - are also there. It's a big, five-pound, 12" x 12", hardcover, 223-page monster of great art, and it can be yours by ordering it here. I've attended one booksigning already (my first! In Jackson, Wyoming!) but there's lots of others coming up... keep checking my "gigs" link for signing dates and locations... perhaps there'll be one near you! Futhermore, the deluxe, leatherbound, slipcased edition of HOMEFIELDS is coming out in mid-to-late October, so if you want to wait for that, I'll understand. Good man yerself! Congratulations on getting that sucker off the desk; it looks great! Congratulations, Chip, on the publication of your new book; it looks great. We know Lanford and Bob would be very pleased. We are mailing a check for our copy today; just bring our autographed copy with you when you visit us in December. Looking forward to having you.